Have you found an online vendor selling Blue Chair Bay Blue Chair Bay Banana Rum Cream? 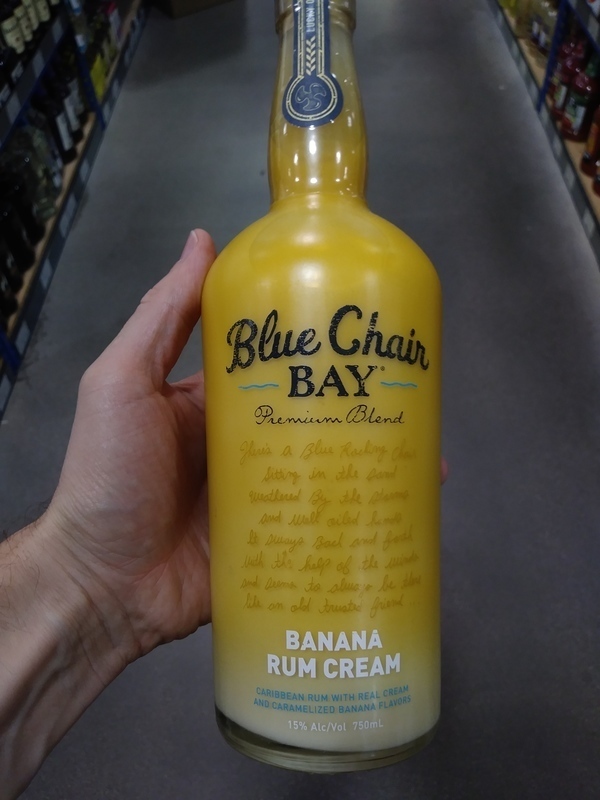 Tried to enjoy some Blue Chair Bay Banana Cream Rum but the fact is its way too sweet for any enjoyment. The bottle and label design is unique. At 30 Proof you get sugar, artificial banana, sugar, some more banana like the old fashioned banana candies and then some sugar. Its simply awful. It goes without saying rum is my favorite type of rum and having just turned 21 I’ve been trying to try as many as possible. The Bluechair Bay Banana Cream Rum has a rough first taste with a great after tatse of bananas. It’s definitely not something you wanna drink all day simply because it’s so creamy your bound to have an upset stomach towards the end of the night. As a banana fan I have to say it’s a rather great choice. At 15% ABV, this technically isn't rum, but it is one of my wife's favorites and I thought I'd share. This is one of Kenny Chesney's Rum Creams, and it just needs a little ice to be enjoyed. If you or your significant other have a sweet tooth, then just add ice and start sipping. I bet this would be great in a Bushwacker.